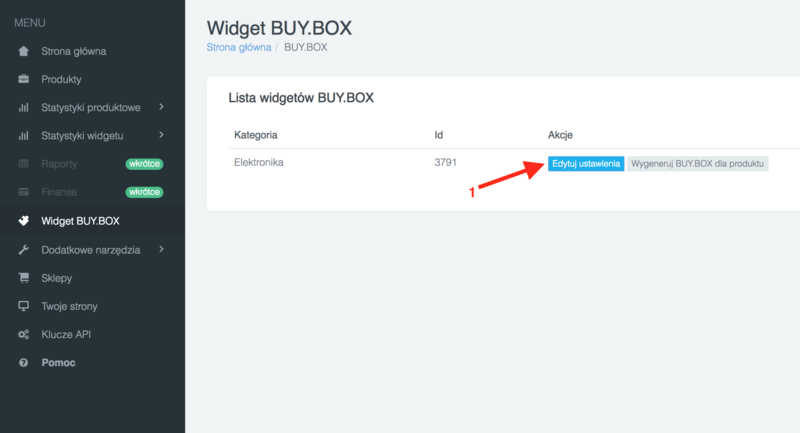 Before you start displaying the BUY.BOX widget on your website, perform the basic settings for the widget. Log in to your account, then go to the BUY.BOX (1) → Edit settings (2) tab and complete the first settings for your website. Select the Shops (2) whose offer you want to display in your widget. 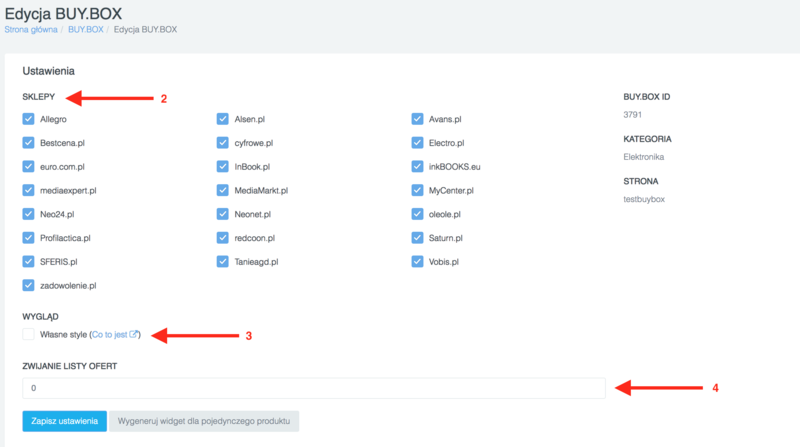 Own styles (3) - to personalize the appearance of the widget, select the own styles option. Insert additional CSS styles in your page template. A file with sample styles can be downloaded here. By entering any other number, specify how many offers are to be visible. Other offers will be visible after expanding "Show more" (6). After clicking Save settings, the widget is ready. The BUY.BOX widget can take on any appearance and the way of displaying shop offers. Learn more. Put the widget on your website.